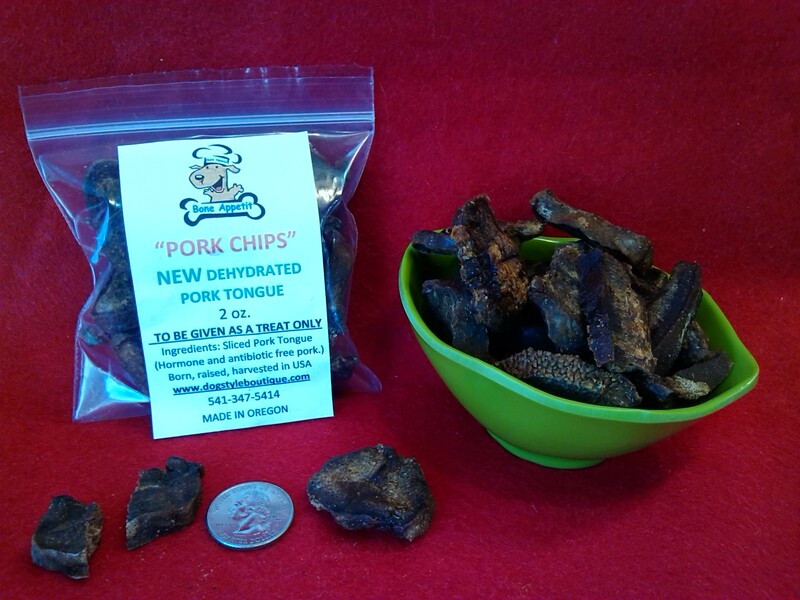 Bone Appetit is proud to announce our new "Made In Oregon Pork Chips". These dehydrated slices of pork tongue are the talk of the town. They are not only made from USA born, raised, and harvested pork, they are humane grade and hormone/antibiotic free. Bone Appetit's Pork Chips come in a 4 oz resealable bag (picture shows 2 oz. bag) and are easily broken to smaller pieces for training. Try a bag or two today and have your dog doing tricks!